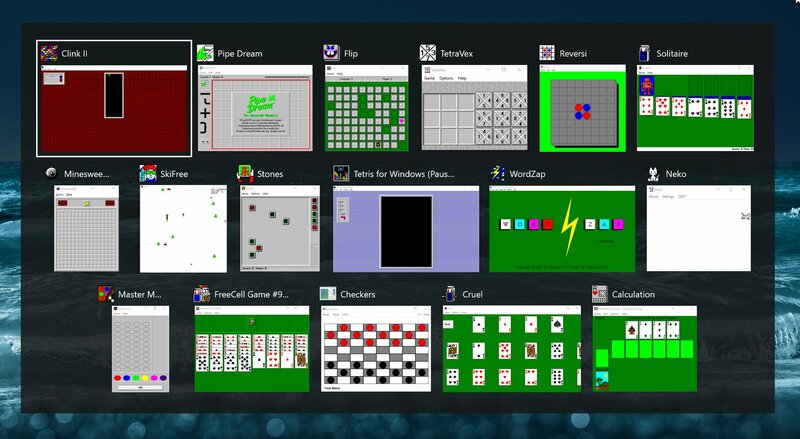 Play Windows 3 Games on Modern Windows. Win3mu is a Windows 3.0 emulator. It includes an 8086 CPU emulation that loads 16-bit Windows executables and maps API calls onto the modern 32 or 64-bit Windows API. Win3mu was started as a hobby project - mainly as a curiousity to see if it could be done. Unfortunately, once that challenge was met my interest in the project waned and due to other commitments (ie: paying projects) and other interests I no longer have much time to spend on it. So I'm handing it over to the open source community in the hope someone might take an interest in it and continue to develop it. Depsite showing an installation program in the above video, there's no download for Win3mu. One of my concerns about releasing this project has been the support load it might incur. As such I'm not making a downloadable installation package available. Rather, it's available only as source code and I encourage any developers who are interested to take a look and have a play with it. If someone else wants to put together a installation package then go right ahead... but don't expect me to answer end-user support enquiries. I will however (time permitting) answer and assist other developers working on the project. It requires Visual Studio 2017 and .NET 4.6.1. To build it, clone the repository, init the submodules, open the solution file and build the win3mu project. To run a 16-bit program, pass the path to the 16-bit executable program as a commend line argument to win3mu.exe. If the 16-bit program uses any APIs that havn't been implemented you'll get an exception. Implement the missing API, rinse and repeat. During development of this project I wrote a series of articles that explains how it works. You can read these here. Copyright (C) 2017 Topten Software. Win3mu is free software: you can redistribute it and/or modify it under the terms of the GNU General Public License as published by the Free Software Foundation, either version 3 of the License, or (at your option) any later version. Win3mu is distributed in the hope that it will be useful, but WITHOUT ANY WARRANTY; without even the implied warranty of MERCHANTABILITY or FITNESS FOR A PARTICULAR PURPOSE. See the GNU General Public License for more details. You should have received a copy of the GNU General Public License along with Win3mu. If not, see http://www.gnu.org/licenses/. A Non-Fragmented File System for easy use by hardware emulators. Includes C library and command line tools.